Home 1970s Retro movies Happy Birthday, Jaws! Was it worth the wait? Hell, yeah - and while I'm the first to admit I'm not a fan or horror or gory flicks, Jaws still remains one of my favorite scary movies. 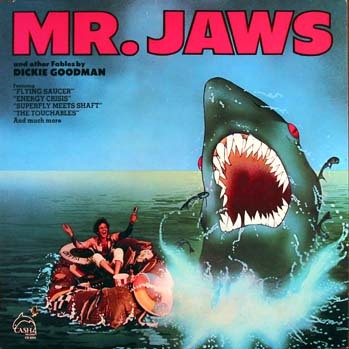 I'm not sure why - but I think it's a combination of the chemistry between Richard Dreyfuss, Roy Scheider, and Robert Shaw, the long build-up until we finally see the shark, and the fact that even for the mid-70s, the special effects don't come across as cheesy. Jaws, in my opinion, was the first time the movie monster actually appeared real on camera (at least to a three-year old.) Then there's the fact that this was not an easy movie to film, with mechanical sharks breaking down and boats on the horizon ruining a scene. 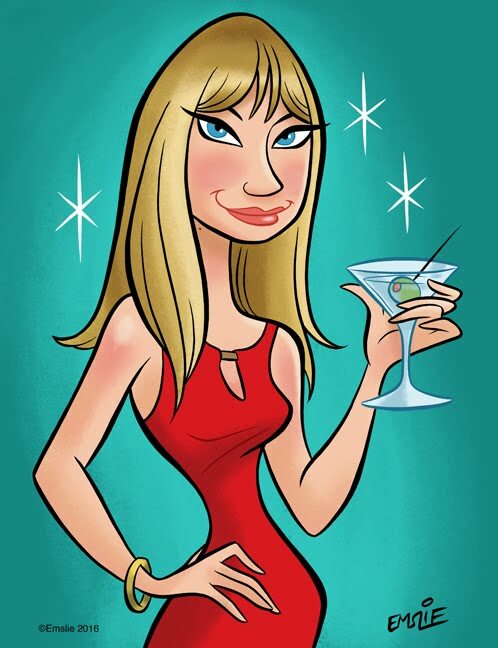 Not surprisingly, the movie was a mass marketing dream. 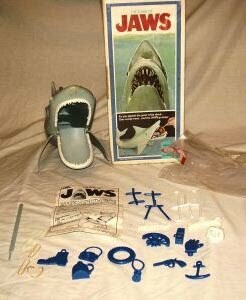 Did anyone else own or remember The Game of Jaws below? I loved it. You'd wrap rubber bands around the jaws and place the assorted plastic objects in his mouth to hold it open. Players took turns fishing out the trinkets from Jaws' mouth. The first player to successfully remove four junk pieces would win. If his jaws suddenly snapped shut, you were out of the game! The movie also inspired a pretty cheesy parody song called Mr. Jaws by Dickie Goodman. It features snippets of disco songs and other hits and believe it or not, reached #4 on the Billboard charts! I'd also say the album's cover is definitely a contender for my regular Bad Cover Art feature. It's a shame that the success of the film led to sequels that were epic failures - such as usually the case with most blockbusters. 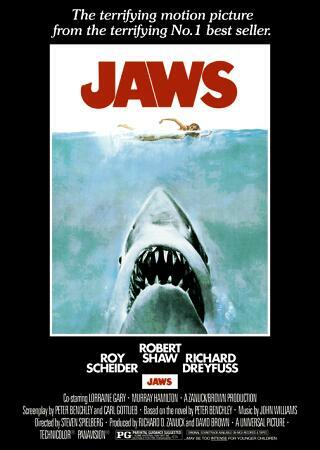 For most of us there can only be one Jaws - still chewing up the scenery and scaring beachgoers 35 years later. 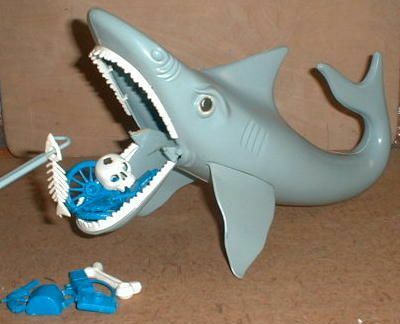 I loved JAWS. I think it was an awesome movie! How can you not love Richard Dreyfuss' acting in this movie! The shark scared the heebie jeebies out of me...so it was well done. LOL. Not only did I have that Jaws game, I still have my 45 of "Mr. Jaws" tucked away somewhere in my record collection. NPR did a really cool story on hunting of the original shark models. It was a pretty cool story. This is one of the things I love about NPR. For some reason it didn't like my link. Bruce... Isn't that the name of the HUGE Great White in finding Nemo? If so... it's got to be because of the robotic shark from JAWS!! oh yeah! I was a kid when this came out so I didn't see it until I was a teenager but the 3d version scared me more though. I love the sequels myself. I would say maybe only the 2nd one is actually good, but if I'm in the right mood, I'm all about shark attack goodness. Last summer I made a top ten shark attack movies list for Pretty Scary and it was so fun watching and re-watching all of the rip-offs. I love Jaws. I saw it when I was a kid. I was born in 1970. I can remember all the craze surrounding it. Yay JAWS! '70s childhoods everywhere were imprinted with that poster art alone. 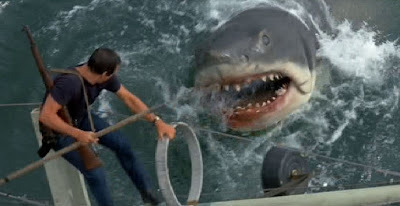 You're right--what makes JAWS so special are the three lead actors. I spent all of last week writing about it on my own blogs. Definitely one of the most iconic films from my childhood and still about my favorite movie ever. Definitely one of my favourite movies. I was going to do a post on this on Sunday. I watched the special on Biography channel last week about the making of this movie. My parents took my brother and I to the drive-in to see this- we were only 4 and 5 years old. Very scary - we jumped out of our seats during the I think we're gonna need a bigger boat scene.